I have a tween. I have a toddler. I even have a child somewhere in between. More times than not, we are all watching our own shows and sort of living in the same space but not really connecting in a meaningful way. Family bonding time seems to be only about proximity, right? WRONG! It has been our MISSION to find shows that everyone in the house can enjoy. And here’s the thing… I’m not the mom who is going to sit through a show that I don’t like. I’m sorry. I know it sounds selfish but I CANNOT stand overly campy shows and I loathe watching them. So, maybe it’s my fault. Maybe it’s the networks’ fault. Who knows? Either way, it doesn’t matter anymore. The past is just that. We are moving forward and together! 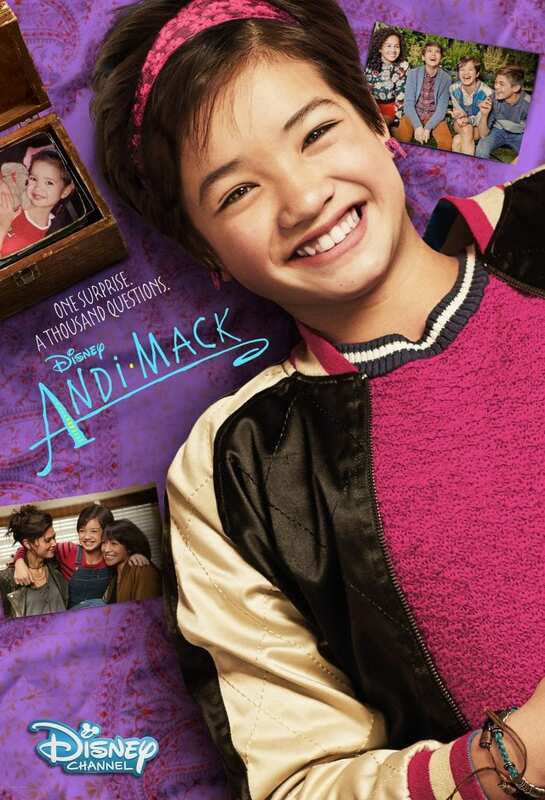 “Andi Mack” is a compelling story of self-discovery written by Terri Minsky, the creator of Disney Channel’s hit series “Lizzie McGuire” and will be available on-demand, beginning FRIDAY, MARCH 10 (12:01 a.m. PST), on the Disney Channel App, Video-on-Demand, Disney.com, Disney Channel YouTube, iTunes, Amazon and Google Play. She deals with real issues that every teen and tween will face on a regular basis – from boys to self-esteem to self-discovery… and everything in between. And there’s even a deeper story line that I refuse to spoil. You just have to watch the first episode to see what I am talking about. So that’s really where it originated from. I wish it was as cool as I know somebody who went through this, but you do, so that’s like one degree of separation. And, I don’t know if that’s the most satisfying answer, but that’s where it came from. Aren’t you DYING TO HEAR WHAT I’M TALKING ABOUT? HA! Tune in and see what Jack went through. My jaw dropped when I heard. You think you know everything about a guy…. What made Lilan Bowden sign up for this role? Why was this one so special??? It was just how meaty this role how – how SURPRISING it was! I really read it thinking this is something that’s got some meat on the bone for me because I have two kids that are 13 and 16 and so in order for me to pull myself away from wanting to be with them, cause that’s when they need you the most, in a way, I thought, I didn’t wanna be that mom, “dinner’s ready!” you know? I just thought that I would go a little brain dead! But Terri’s writing is just so phenomenal that I was like, yeah, I think I need to attach myself to this for so many reasons, just how innovative it is and the diversity and, and feeling like when I was growing up, I didn’t have a lot of role models and I just — well, I’m so old that [LAUGHTER] I was watching, you know, the Harriet, you know, whatever that show was where I never felt like I could be those perfect white kids that I was looking at because they just didn’t have anything to do with my reality whatsoever. Whereas this show is so much more real and reflective of what’s going on in the world today. And then also just having so many people of color on it, it’s just surreal. 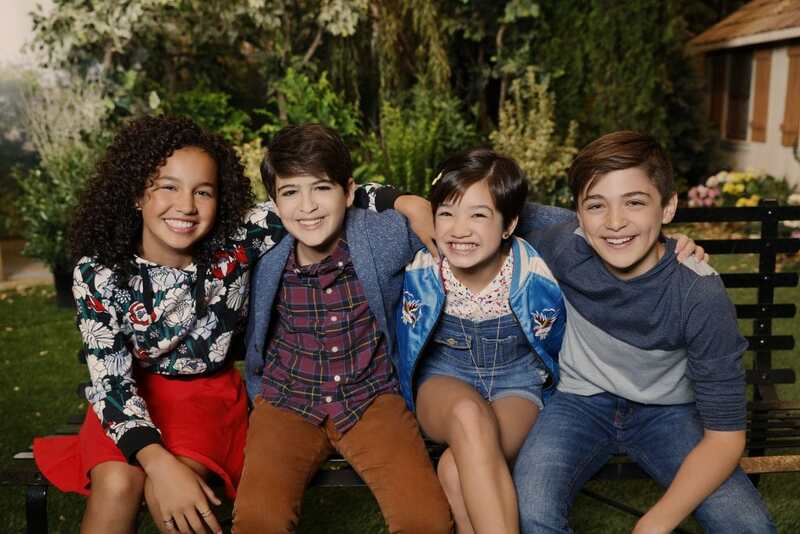 What can kids look forward to while watching Andi Mack? Will they get to walk through many of her first experiences? Peyton Elizabeth Lee says absolutely! There definitely will be a lot of firsts. There will definitely be a lot of things that kids watching will hopefully be like, oh yeah, I felt like that before or I’m not the only person who’s felt like that. Everything that happens in that show — I think kids around the world will be able to look at it and say, I’m not alone in this. So I think that’s really important because a lot of the shows, you’re like, can I just be like that one day? You know, and I think this show — it’s really relatable and I think everyone, young and old and anywhere in between can really look at it and see themselves in the characters. In the day and age of social media – WE NEED THIS FOR OUR CHILDREN. With all the filters and staged photos and stories, everything seems so perfect. And you and I BOTH know life is anything but that. 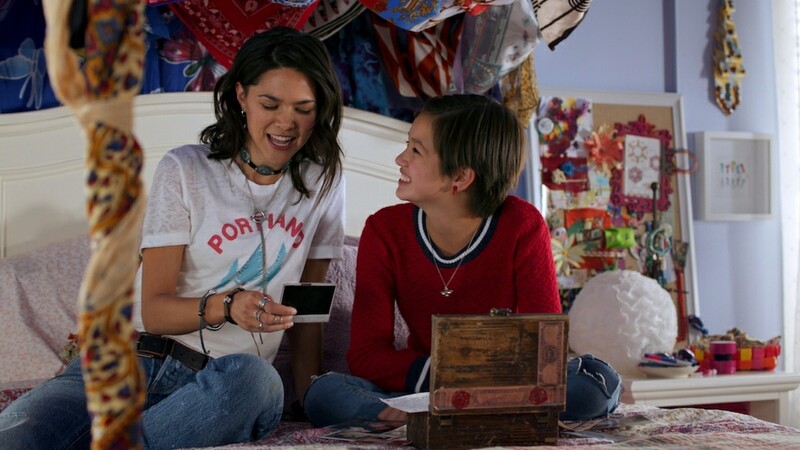 Andi Mack is giving a raw look at life as a tween / tween. There are ups and downs. There are wins and losses. There are utterly embarrassing moments and over-the-top accomplishments. That is what makes life so grand. You can’t appreciate the light if you haven’t spent some time in the dark. SO looking forward to correcting family night. 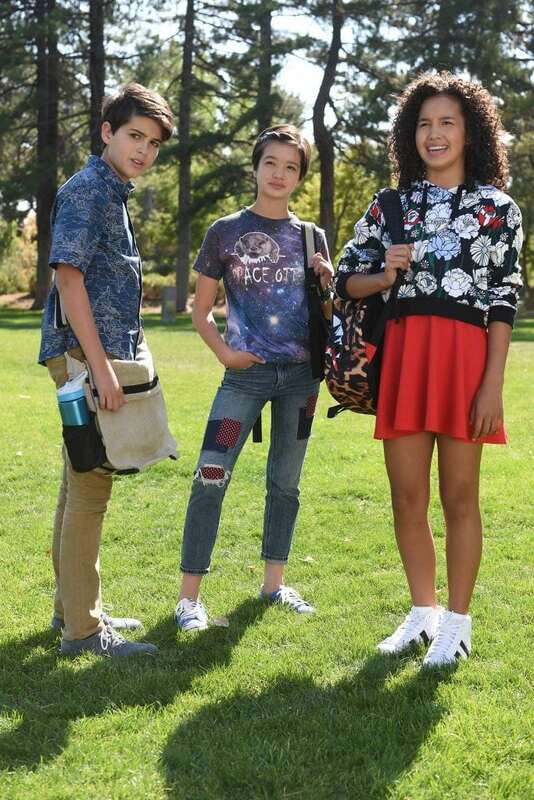 Tune into Andi Mack and take back control of yours as well! “Tomorrow Starts Today” – Andi’s family life is thrown for a loop when her big sister, the freewheeling Bex, returns home on the eve of her 13th birthday. It begins with Bex arranging for Andi to train for Ultimate Frisbee with the cutest guy at school, Jonah Beck, who she learns has a high school age girlfriend, Amber. Andi also grapples with telling her best friends Buffy and Cyrus some big news, but is preoccupied making Jonah Beck a bracelet, at his request. Meanwhile, Cyrus becomes the Space Otters’ official Enthusiastic Supporter, helps them win their first game. 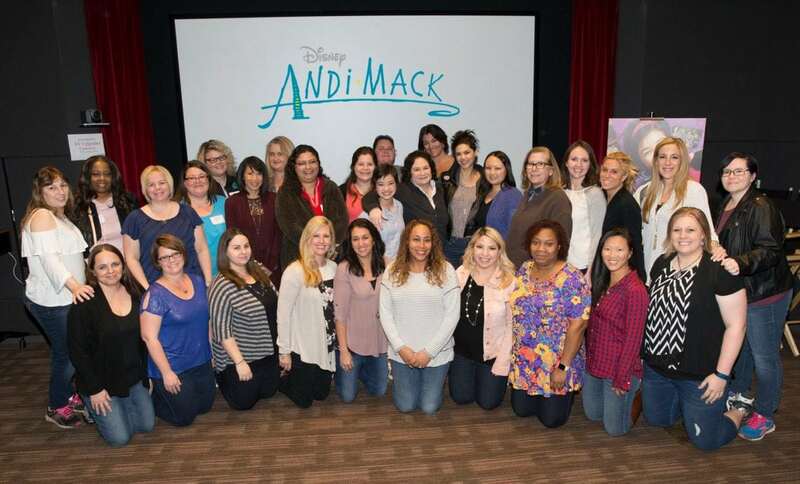 *Disney invited me to interview the cast of Andi Mack. All opinions are my own. Travel and accommodations were covered.